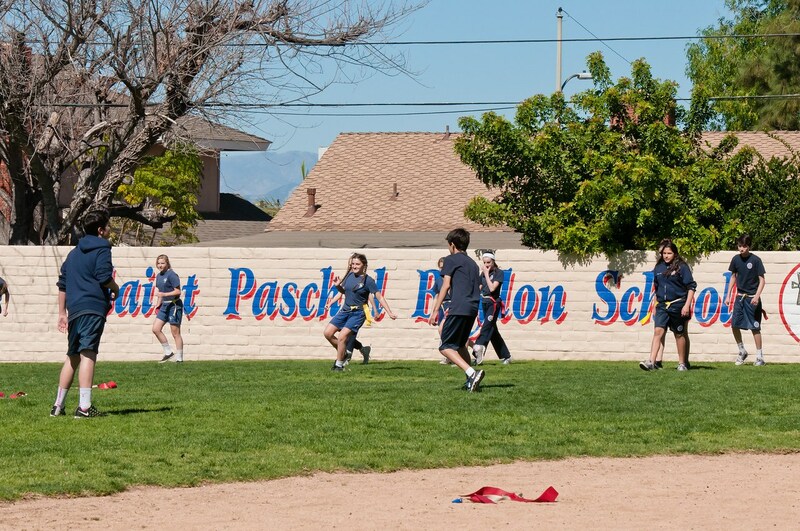 Saint Paschal Baylon School (SPBS) believes in educating the "whole child", therefore our students participate weekly in grade level Physical Education (P.E.) classes. 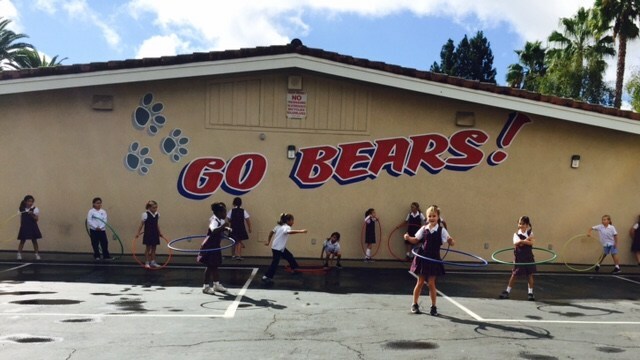 These classes are coordinated and taught by our school's credentialed P.E. Teacher, who is assisted during classes by the P.E. Teacher Aide. 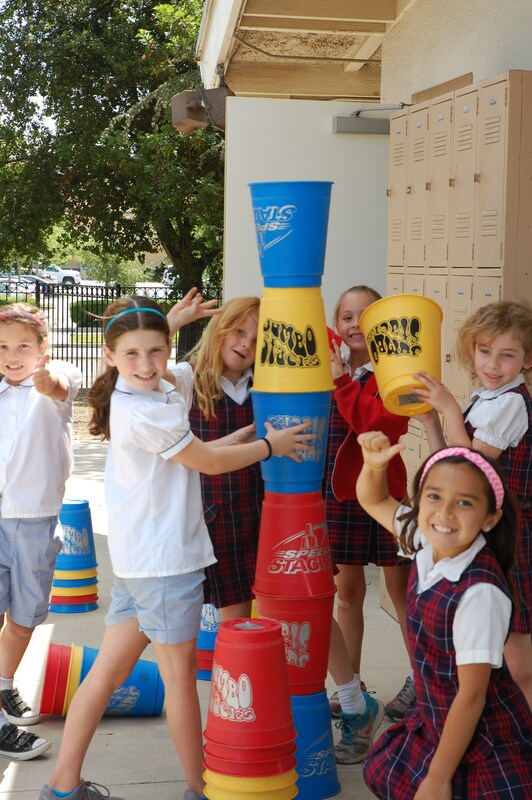 Each grade participates in approximately one hour of Physical Education per week as a class at SPBS. P.E. 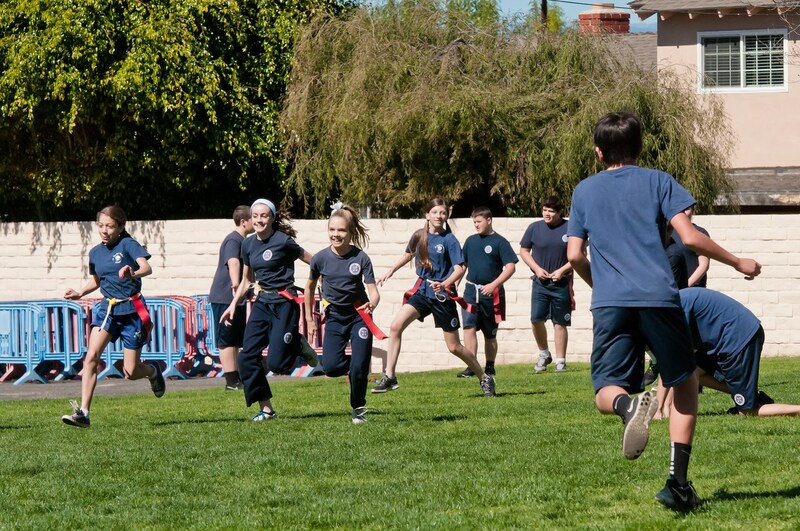 classes are designed to encourage a love of physical activity in our students, and to enhance their athletic skill at specific developmental levels. 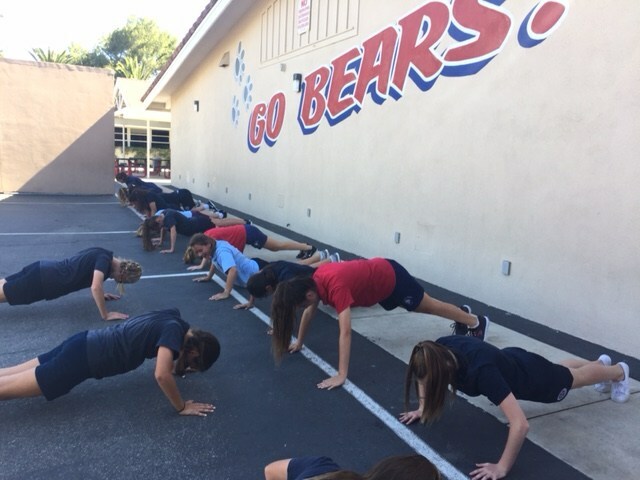 Along with participating in an organized curriculum during P.E. 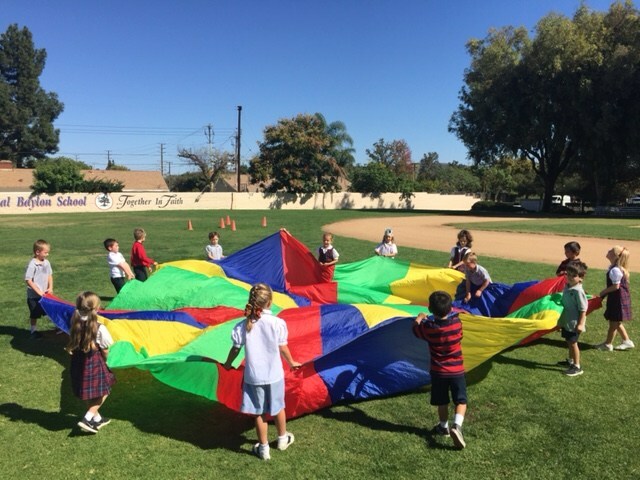 classes, students may also enjoy a variety of age-appropriate games and seasonal sports, as well as occasional “free choice” activities and games. Our SPBS Physical Education Teacher/Athletic Director holds a teaching credential and a Bachelor of Arts in Physical Education. 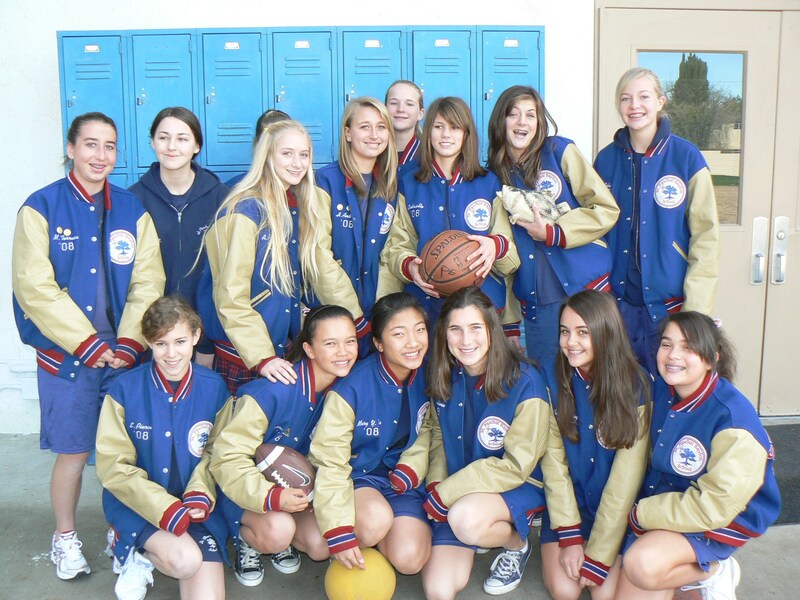 SPBS is a member of the Valley Catholic Sports League (VCSL), and fields over twenty extra-curricular school teams each year, primarily for students in Grades 5-8, through our SPBS Sports Program. The P.E. Teacher also serves as the SPBS Athletic Director. In that role, she is in charge of organizing the school's volunteer team coaches, coordinating off-site locations for games, signing-up SPBS teams for tournaments, and distributing SPBS team uniforms to students who have paid the required Sports Team Fee, among other duties. The P.E. Teacher Aide assists the Athletic Director. Both the P.E. Teacher/Athletic Director and the P.E. Teacher Aide are on campus at SPBS Monday-Thursday. 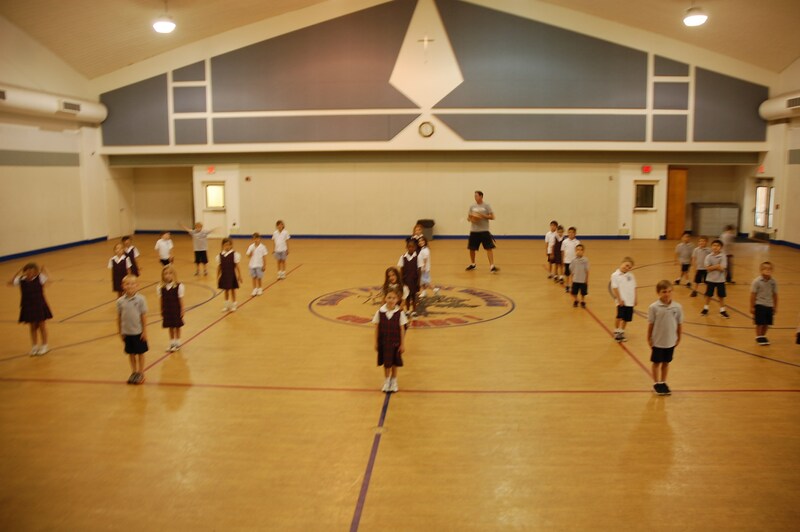 Physical Education classes and after-school team sports at SPBS are designed to afford our students ample opportunities to develop athletic potential as well as practice good sportsmanship. Students in Grades 6-8 are required to wear their complete SPBS P.E. uniform to school on the day they have Physical Education class. P.E. uniforms are available through Dennis Uniform Company.